What’s the Best Miter Saw? Finding the best miter saw for your cutting needs usually presents to be a daunting task. There are several miter saws on the market that boast of high quality performance. However, most of them are not actually as competent as advertised. In making the right selection, you should first understand your needs, whether you require it for personal or commercial projects. Having determined that, you can proceed to carry out a research on the market so as to know the available brands. Adjustable: the GCM12SD miter saw provides easy adjustments with a large easy-to-read uniform bevel and stainless steel miter scales with marked detents and roof pitch angles. You need to consider top manufacturers such as DeWalt, Makita, Milwaukee and Hitachi. These are normally recommended as they incorporate additional features like laser guide, stand or a light. Lastly, you will need to consider the price as this will ensure that you get the perfect miter saw which meets your budget. However, the most effective way would be to look at user reviews, which are widely available online. From these, you can be able to tell which is the best miter saw based on testimonials from users. Bevel Cut. This type of cut is made through the thickness of the wood at an angle. Compound cut. This is a mixture of two cuts, miter cut and a bevel cut. Crosscut. This is the cut which is made across the length of the material. Miter Cut. This is a cut which is made to the width of the wood plank at an angle. Key factors that determine the cutting capacity are the blade diameter and whether it slides. Standard sizes are 10″ and 12″ and although the bigger size will give you more flexibility you need to think about whether you need the extra size and power for the work you do. 3″x2″, 4″x4″ or 2″x6″ isn’t going to need a 12″ blade, but large molding or large rafters may need a bigger blade and more power. Compound miter saws can tilt the blade which lets you make bevel cuts and make compound cuts which are mitered bevel cuts. 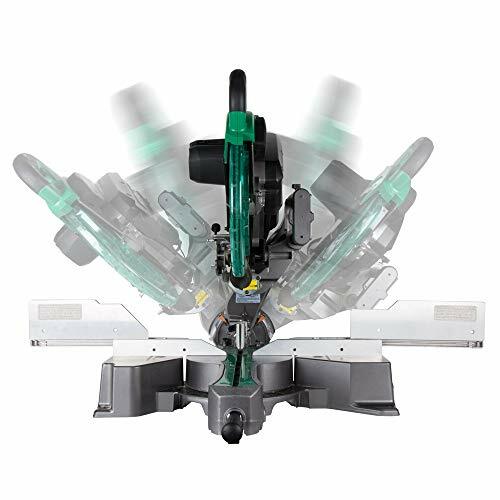 Compound saws that are single bevel tilt to one way, dual bevel saws tilt both left and right, which means you can make bevel cuts in either direction without swapping your work piece around, which speeds things up. Dual bevel miter saws are better if you are doing lots of bevel cuts. There are different types of miter saws which are useful for different types of cuts. Dual compound miter saws. This is similar to sliding compound miter saws but with the difference that both the blade and the motor can be tilted sideways. This is mostly used for complex woodworking projects. This one is the most featured one, it can do all mentioned here plus its blade and motor can tilt both left and right. This provides more flexibility for cutting complicated angles such as required for crown molding. This saws are mostly for professionals, they are most expencive ones. Miter saws miter cut range from 50″ to more than 60″. If you need wider miter cuts make sure to compare specs so that you get exactly what you need from your saw. Make sure the miter and bevel indexes are visible and easy to read during use to speed your work up. Positive bevel and miter stops for common angles will speed up your work, but check you can make tiny adjustments. A sliding fence slides out of the way for bevel cuts but gives you full height miter cut support. Multiple handle positions, can let you adjust your grip for better control and comfort. Just after you release the trigger an electric blade stops immediately. This speeds up your work and increases safety. One step blade changes reduce downtime. If you are forever changing blades it’s much quicker and easier. A dust port lets you attach a dust bag or wet-dry vac saving the mess of sawdust everywhere. Improve blade line up with your cutline. Single laser shows the start of the cut, dual laser shows the entire kerf (ie. width of cut). Why is the Miter Saw Special? This is one of the most asked questions regarding miter saw. Another question people ask is whether they need to buy another saw if they already have a table saw. The answer to these questions is – Miter Saw does what other tools can not. Want to make a new deck or a garden shed or want to add that beautiful wood trim around the doors and windows, miter saw is the tool you need. Miter Saw allows one to make precise angled cuts in the wood. The blade in a miter saw can swing up to 100 degrees in come cases on both sides. Rotating the saw by up to 45 degrees on both sides, one can easily make wood pieces with 90 degrees mitered joint. Those beautiful picture frame corners and profiled trim, you keep looking at, it was made using a miter saw. Compound miter saws can be used to make crown molding or that angled cut on the roof rafter. Table saws can also be used to make angled cuts but these are restricted to making very simple cuts and these cuts often do not have a good finish. Angled cuts made by miter saws have excellent finish. It helps in making angled cuts easily. It helps in making complex angled cuts which can’t be made with table saws. The cuts made by miter saws can be precise up to 1/10 of a degree. Compound miter saws allow to make both vertical and horizontal cuts. The finish of an angled cut made by miter saw is higher than those made by other power saws. It can cut longer boards much more accurately than a table saw. Miter saws can be adjusted to make much deeper cuts than is possible with other power tools. It saves a lot of wood in the long run as it waste much less wood as compared to other power tools. Miter saws are more powerful compared to most types of saws. Such power provides them with high cutting capacities, which makes them ideal for a wide range of applications. Also the fast cutting operation featured by these types of saws saves on the time needed to perform various cutting tasks. The enhanced accuracy and precision featured by miter saws allows one to achieve high quality and professional work. Additionally, they incorporate a compact size that renders them more portable compared to other alternative saw types. Their strong construction makes them more durable and resistant to harsh treatment. With the miter saw, there is no wastage, thanks to the dust bag that instantly traps the wood particles. 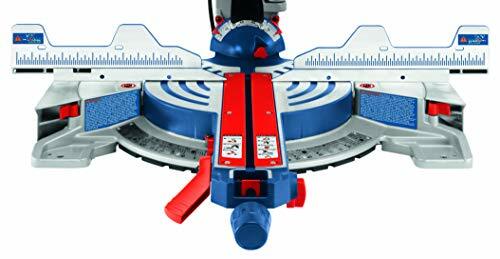 Miter saws offer users with the benefit of exceptional comfort during usage. This is particularly attributed to their remarkable lightweight nature, which minimizes fatigue resulting from prolonged cutting operation. Nevertheless, they provide users with high safety during usage, thanks to the incorporated safety features such as the safety clamp. They are economical tools to use as they feature low costs associated with general maintenance and repair. 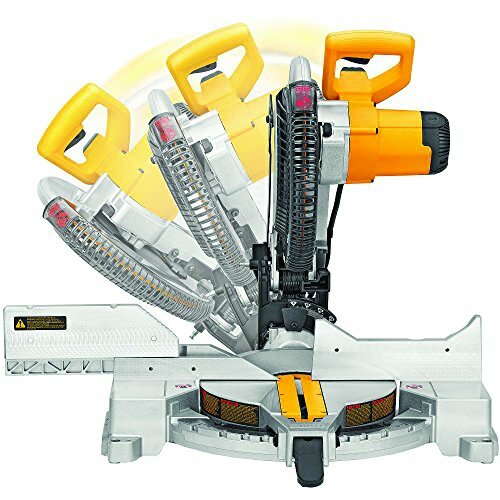 Furthermore, miter saws come in a variety of models that allow you to make a perfect selection as per your needs. The exceptional performance, innovative features and remarkable benefits of the miter saws definitely make them worth recommending for anyone in search of a perfect cutting saw. Miter saws are amongst the most popular and widely used power tools in the wood working industry. This is due to the convenience, accuracy and portability that they present to users. Nevertheless, they come in various styles and sizes to select from. Though they present many options to choose from, reading the Best Miter Saw Reviews is always helpful in making a perfect selection.